According to the Small Business Administration research, 50% of small businesses will fail within the first year. 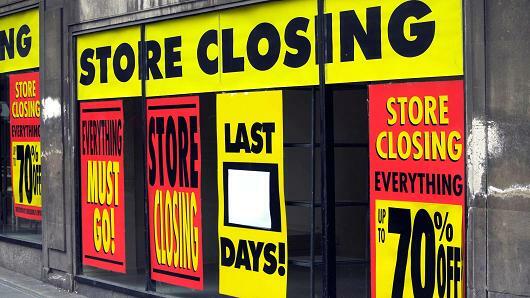 A staggering 95% will close their doors before they hit their fifth year of operation? 30% are continually losing money. If 50% of new businesses fail, then 50% of new businesses can succeed. Starting a business is an exciting endeavor that requires a clearly defined product or service and a strong market demand for it. Whether you desire to start a new business or you’re already running a business, you must understand that success depends on careful strategic planning and sound fiscal management that begin prior to startup and continue throughout the life of the business. Just because you love something doesn’t mean you should convert it into a business. Too often businesses fail because the owner feels their passion is shared by others. Research your business idea and make sure it’s viable. Is there a demand for what you do? Do others want/need what you’re selling? Will they pay price you want to sell it at? Read this article Creative Ways to Figure if You’ve Got a Good Business Idea. You MUST have a written business plan. it doesn’t have to be complicated – it can be a simple three-page plan or a huge 40-page plan. Update your plan annually as your business changes. Having one means that you’ve taken a hard look at all the aspects of your business and are prepared to handle problems when they arise.Your business plan helps you to focus on your goals and your vision and planning how to accomplishing them, plus banks and investors will ask to see it if you are looking for a loan. If you don’t do it see #12 procrastination! Too often, small business owners will have just one product, one service or one big client. They cling tight to this one thing because it brings in good revenue. But what if the one thing disappears? Variety and diversification will cushion you against the ebb and flow of business tides. Understand what it costs you to provide a service, what your competitors are charging, and how customers perceive the value of your services, Figure out whether to charge an hourly rate, a per-project rate, or try to negotiate a retainer for your services. Read this great article: Guide to Pricing Your Services. You have to keep financial and business records and expense receipts, Keep them organized and not shoved in an old shoe box. You’ll be overwhelmed if you don’t keep everything in order. Review your revenue and expense report each month. File taxes and other business-related filings. If you don’t know how to do these, or don’t want to, get help from someone local who does.There are FREE or low cost accounting software to help you manage your books. Read this great article to see what’s available Best Accounting Software. There are so many hats you have to wear, from marketing and selling to management and finance, in order to run a business effectively.You have to understand your industry, the skills required to offer your products and services, and the trends in the industry. If you don’t know about these basic skills, educate yourself. Search for tutorials on YouTube. Lynda.com has excellent video classes on every subject, get a free trial and then pay $25 per month. Talk to others who are successfully running their own businesses, talk to industry leaders, get a book, find a website, get a coach, do your homework. Keep increasing your business and industry skills by attending classes or reading new books every year. Your business can fail if you exhibit poor management skills. You will struggle as a leader if you don’t have enough experience making management decisions, supervising a staff, or the vision to lead your organization. Perhaps your leadership team is not in agreement on how the business should be run. You and your leaders may be arguing with each other publicly, or contradicting each other’s instructions to the staff. When problems requiring strong leadership occur, you may be reluctant to take charge and resolve the issues while your business continues to slip toward failure.Dysfunctional leadership in your business will trickle down and affect every aspect of your operation, from financial management to employee morale, and once productivity is hindered, failure looms large on the horizon. Learn, study, find a mentor, enroll in training, conduct personal research – do whatever you can to enhance your leadership skills and knowledge of the industry. Examine other business best practices and see which ones you can apply to your business. You need to be able to live for one to two years without income when getting started; often businesses are very slow to get off the ground. Create and stick to a realistic business budget. Do not constantly drain the business income on personal spending. If your business has a “brick and mortar” location, you need to make sure that you are convenient to your customers, and near to your suppliers and your employees Traffic patterns and parking can make or break your business. Location, Location, Location! Customers will go where they can find the best products and services. It’s important for you to know who your competition is, what they have to offer, and what makes your own products or services better. What is your competition charging? If it is less than you, what makes your service/product special? Does you competition run aggressive advertising, giver deep discounts like free shipping that you cannot compete with? Is your competition a well known and popular brand that it will hard to compete with? What sets your business apart from competitors? How do you conduct business in a way that is totally unique? What are your competitors doing better than you are? Develop a customized approach or service package that no one else in your industry is using so you can present it as a strong value proposition that attracts attention and interest.This is how you build a brand. Your brand is the image your customers recognize and associate with your business. What is your value proposition? What is your customers pain point? Explain how your product solves customers’ problems or improves their situation (relevancy), Explain how it ;delivers specific benefits (quantified value), It tells your ideal customer why they should buy from you and not from the competition (unique differentiation). Always make your messaging about how you can fix their problem.You may have a great product or service for which there is strong demand, but your business is still failing. It may be that your approach is mediocre or you lack a strong value proposition. If there’s strong demand, you probably have a lot of competitors and are failing to stand out in the crowd. Read this great article: 10 Value Propositions You Wish You Had. Prioritize: putting off tasks that you don’t enjoy will sink your business faster than anything else. Don’t waste time on unimportant tasks while critical tasks pile up. All tasks need to be done; if you don’t like to do them or don’t have the time to do them, hire someone to do them for you. Learn to delegate. Know when you need help. Learn the basics of marketing to to step up your marketing plan to publicize your brand and set yourself apart. You will need to be in as many venues as possible to present your brand to the public. You may be far better than your competitors but that won’t make any difference if your prospects don’t even know you’re in the game. Use social media, word of mouth, cold calling, direct mail, and other tried-and-true marketing techniques. Ensure you have a well-optimized online presence, develop lead generation and contact information capture techniques such as offering high-quality content on your site, a subscriber newsletter, and information giveaways. Once you have a potential client, you have to know how to lead them down the sales path. If you don’t understand the basics of selling, get some education on it immediately. If a selling technique doesn’t work, try another one. Once you have acquired a customer, you have to keep them (retention). There are two key points here – make sure you pay attention to what the customer wants (and how these wants can change over time), and make sure you provide quick return of phone calls and emails, proper billing, win-win problem solving and an overall pleasant demeanor. If you receive a bad review on Yelp or elsewhere respond to it professionally and ask how you can fix the issue. Be sure to thank people for good reviews. Managing your online reputation is crucial, bad reviews can destroy your business and Google will not send traffic to your website if it thinks users will have a bad experience on your site. Owning your own business requires a huge investment of time, money, energy and emotion. It’s easy to work long days and forget to take time off. But in the end, this only causes burnout where your motivation and creativity will suffer, and a pessimistic attitude prevails. Balance your business and personal life. Schedule self-care time into your work week and be religious about taking time off from your business. Have enough cash on hand to pay your bills is crucial. And having enough cash on hand, or access to capital via a loan, to launch the next stage of your business growth is mandatory. Too many small business owners stall because they don’t have enough cash. Do your research. Learn the needs, habits and desires of your current and prospective customers. And don’t rely on what you think they think. Know what they think.Your brand is your promise to your customer. It tells them what they can expect from your products and services, and it differentiates your offering from your competitors’. Your brand is derived from who you are, who you want to be and who people perceive you to be. Are you the innovative maverick in your industry? Or the experienced, reliable one? Is your product the high-cost, high-quality option, or the low-cost, high-value option? You can’t be both, and you can’t be all things to all people. Who you are should be based to some extent on who your target customers want and need you to be. get a great logo. Place it everywhere.The foundation of your brand is your logo. Your website, packaging and promotional materials – all of which should integrate your logo–communicate your brand. Create a “voice” for your company that reflects your brand. Decide who your are and be authentic. This voice should be applied to all written communication and incorporated in the visual imagery of all materials, online and off. Is your brand friendly? Be conversational. Is it ritzy? Be more formal. Humorous? You get the gist. A successful business keeps its eye on the trending values and interests of its existing and potential customers. Survey customers and find out what their interests are and keep abreast of changes and trends using customer relationship management (CRM) tools. Effective use of CRM can help keep your business from failing. What Percentage of Small Businesses Fail? Read the article below it explains the different reasons why businesses might fail, funding options for small businesses, why success of a small business depends heavily on the industry its in, and much more. Small business owners can self-diagnose their company’s flaws and locate the funding they need in order to not only survive, but also thrive.